This topic contains 3 replies, has 4 voices, and was last updated by troop60 4 months, 3 weeks ago. 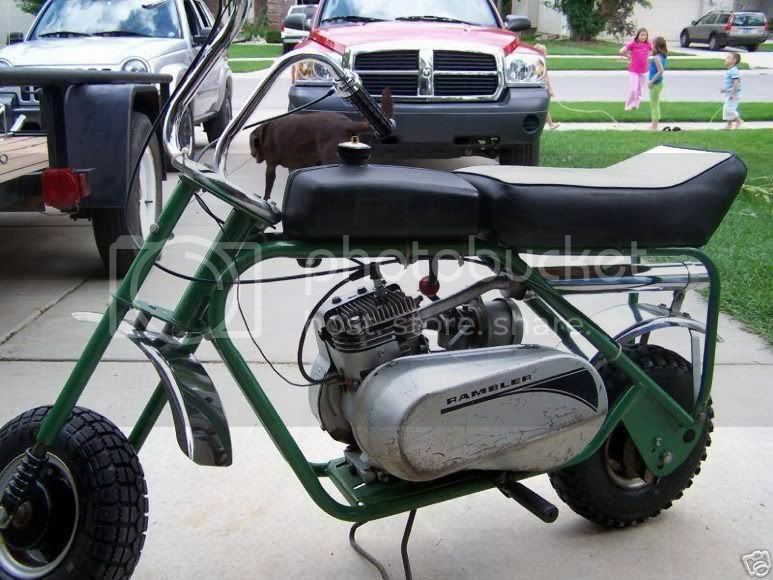 This is about a 1971 MTD that is technically my sisters but I have had it for years. She got it in about 1977 and when I cleaned out my Dads house it naturally just came home with me! Runs great and has a working head light and tail light. It has a torque convertor under the silver cover. Smokes a little and if you rev it up just right it blows perfect smoke rings! Always bring it to Portland. JK , of course . Looks like a fun little bike . Your lucky that it was not sold over all those years. Looks like a nice one,I have a ’71 MTD,Columbia Rambler,just like the one in pic. I cant find a pic of mine @ this time. I’d like to find an original gas gauge gas cap for it.